I think we’ve missed the point on what prophesy is and what it means to give prophesy. When we talk about prophesy in scripture we usually mean prediction of the future and nothing more. People think of Biblical prophesy as some set of Nostradamus theories that tell us about the immanent future. For example, when we read Isaiah we don’t really think too much about what the author might have been calling Israel to do or be, instead we are on the look out for prophesies about Jesus to verify him as the Messiah and we assume all the while that this is exactly how anyone should be expected to read the text. We’ve limited prophesy down to future predictions which are valued based on weather or not the prophesy “comes true.” This is dangerous because not all prophesy in the Bible actually came true (and usually we explain that by saying that it’s still yet to come true). So by these standards, some prophesies within the canon of scripture aren’t good prophesies at all… they’re bad predictions. Look at Jonah for example. Remember Jonah? Yes, he was the one who got swallowed up by a giant fish and spit back up on the land but he was also a prophet. God called Jonah to prophesy to the people of Nineveh that He was angry with then and that he was going to destroy them. So after Jonah delivers his prophesy he goes to get some good seats for the show. Jonah waits… and waits… and waits… and the judgment never comes. Jonah actually gets mad at God because he refuses to destroy Nineveh like he said he would. What happened was that Nineveh repented, they came to their senses and God showed mercy. 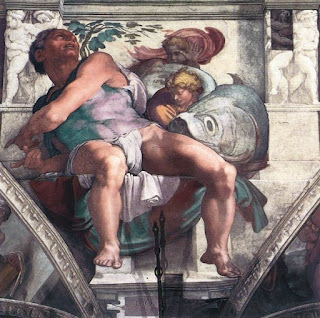 Was Jonah’s prophesy a bad prophesy? Only if you value prophesy on weather or not the prophesy comes true. Just like the rest of biblical prophesy the hope behind Jonah’s prophesy was that it wouldn’t come true. It wasn’t important to God to let the Ninevites know that he was about to destroy them no matter what. It was important to God that they change their ways. And this is how it is whenever God tells Israel or anyone else that they’re going to be judged or destroyed. The Hope behind Biblical prophesy is that it won’t come true. The portions which we call “messianic prophesy” or “Jesus prophesies” are hopeful reminders in the midst of a call for social reform—they’re promises that there will be victory for God and for Israel in the end (but that victory may come with huge sacrifice and suffering). But the point is always repentance. Unfortunately, Israel often didn’t come to their senses because of the prophets and God ended up exiling them, punishing them, etc. The prophets were not looking into crystal balls and predicting the future. The prophets were calling Israel to change their ways and warning them of what could happen to them if they should ignore this call to social reform. So what does this mean for us? It means we should rethink how we read prophesy and we should rethink how we ourselves give prophesy whatever our role may be. I worry that in reading prophesy the way we do we’ve actually ignored it. If we read the prophesies within scripture merely to find out how and when Jesus is coming back we’re missing and indeed ignoring the point which is to repent—change the way we live, change how we engage the world, how we serve those around us. If we don’t come away from reading prophetic literature with a strong sense that world issues such as poverty and oppression are our responsibility then we’ve missed the point all together and indeed judgment may be coming. Throughout history, apathy for the suffering of others has come before the fall of enormous world powers. When people become disinterested in others and obsessed with their own freedom and comfort bad things happen not only to the people around them but to them as well. Prophesy has been given to salvage us from our indifference to the suffering and brokenness of the world. And just as much as we should be convicted by prophesy we should step up to the microphone ourselves. Biblical prophesy reveals the heart of God—a heart that breaks over evil in the world and angers against His people’s indifference. If we are not a voice of prophesy—if the Church doesn’t call the world to social reform—then we’re not truly reflecting the heart of God and we may be missing the point all together. one of my favorite parts in the bible is in Jeremiah. "For I know the plans I have for you," declares the LORD, "plans to prosper you and not to harm you, plans to give you hope and a future. Then you will call upon me and come and pray to me, and I will listen to you. You will seek me and find me when you seek me with all your heart. I will be found by you," declares the LORD, "and will bring you back from captivity. I will gather you from all the nations and places where I have banished you," declares the LORD, "and will bring you back to the place from which I carried you into exile."" And Jeremiah 30 - you can read it yourself, but the chapter title is "Restoration of Israel". That is what this whole thing is about. God desires to give us healing, hope, and restoration.